Is It A Motorcycle Or A Unicycle? | Hupy and Abraham, S.C.
Is It A Motorcycle Or A Unicycle? 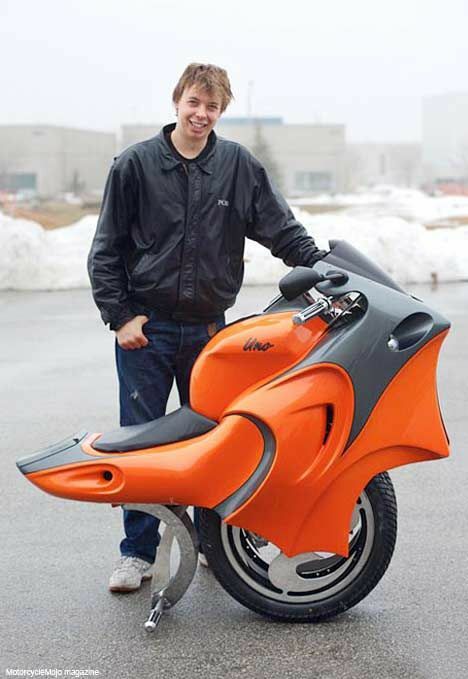 A young inventor has created a motorbike with a twist -- it uses two wheels but they are positioned right next to each other, giving it the illusion of being a powered unicycle. And even better, it might help save the planet. 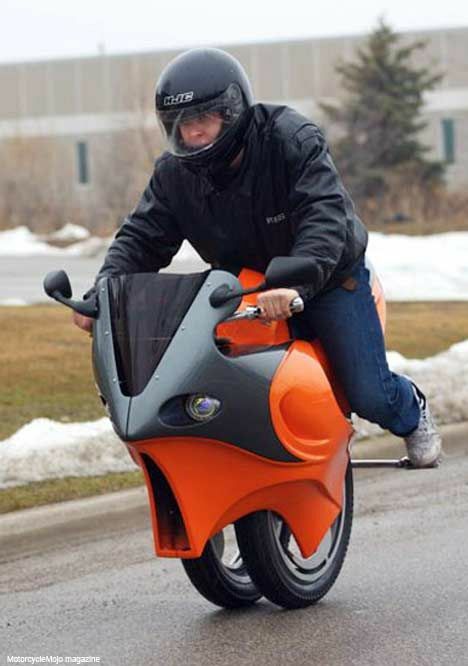 Ben Gulak has spent several years building the electric Uno that uses gyroscopic technology, like the infamous Segway commuter device, to stay upright. The bizarre-looking contraption has only one switch -- on or off -- and is controlled entirely by body movement. The rider leans forwards to accelerate to speeds of 25 mph and back to slow down. It has two wheels side-by-side and has been turning heads wherever it has been ridden. Ben Gulak designed the Uno himself with the help of a simple 3-D program. The green machine is so small and light it can be taken indoors and carried into elevators and is recharged by being plugged into the electric outlets in walls.